Mend it like Beckham – can David Beckham revive China’s football league? 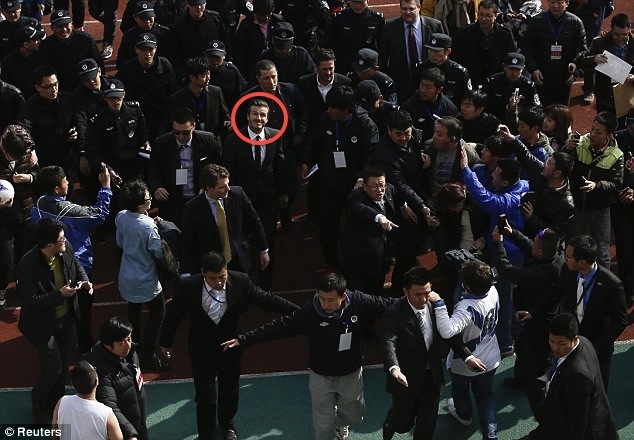 Unless you’ve been hiding under a rock for the past week, you will be well aware that underpants model and football player David Beckham has been in China following his appointment as the International Ambassador for China’s scandal-plagued Super League. Despite China’s recent growth and apparent ability to conquer everything,its football league is generally… pretty darn unsuccessful . This is largely due to heavy amounts of corruption and general ineptitude within the government run league. It seems Chinese officials are hoping that the Beckham’s aura can help cancel out the events of the past year, such as the embarrassing match fixing scandals, on pitch brawling and Didier Drogba and Nicolas Anelka cutting their contracts with Chinese football teams short. David Beckham has practically achieved cult status in China, and his current appointment is causing quite a stir. Many believe that this is simply a publicity stunt being carried out by the Chinese Football Association to divert attention away from the league’s terrible reputation. Despite its grass-roots pretention, his recent visit to China appeared to have Staged Managed Publicity Stunt written all over it. Handled press conferences incredibly well. Posed for photos with children. And showed off his tat to students at the prestigious Peking University. So far, so publicity stunt-ish. 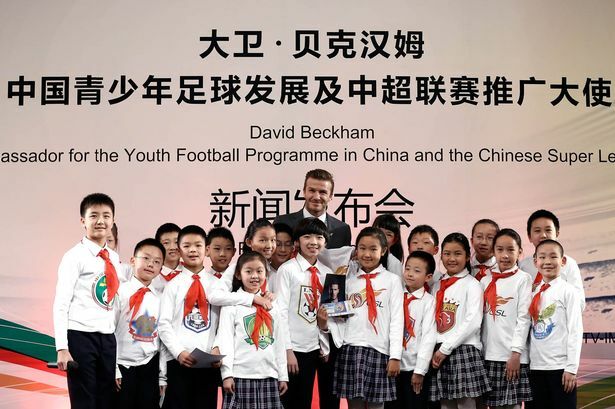 There doesn’t seem to be much evidence that his presence is going to have a massive impact on the success of football in China or that he will do much to improve footballing opportunities for young children, especially when the sport isn’t even played on a regular basis in schools. 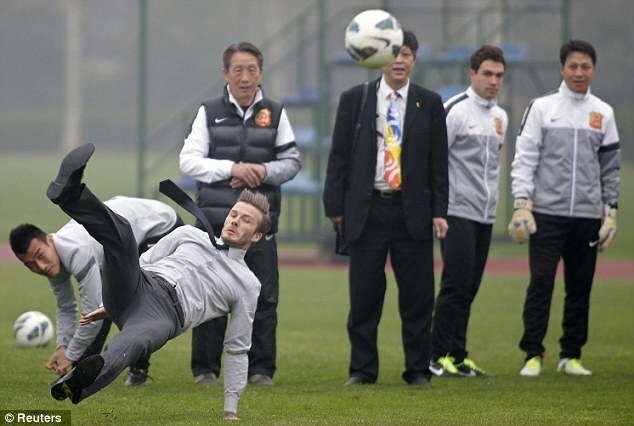 Beckham has also suggested that he may even play for a Chinese team someday. The Chinese Football Association is obviously hoping that he won’t follow exactly in Anelka and Drogba’s footsteps and get so fed by the state of the league that he quits after a few months.